Japanese culture is very different from the Western world. It offers a different way of looking at most things…Zen, Shinto, Wabi-Sabi, Monozukuri, food, housing, ceremony (Chado), calligraphy (Shodo) and most ways of looking at any type of design. 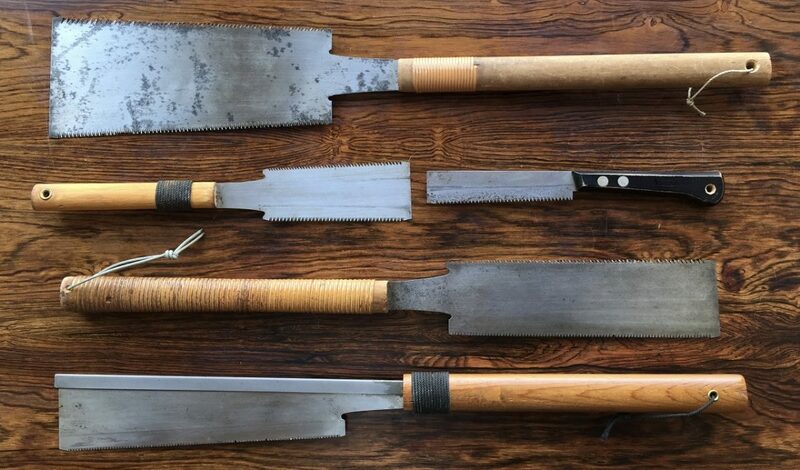 The carpenter (Daiku) is a revered craftsman (Shokunin) and his tools in turn made by master craftsmen, it is only relatively recently that massed produced tools for diy have been produced in Japan. Temple building and rebuilding is at the core of traditional Japanese carpentry and the function, accuracy, complexity and beauty of the joints are a true marvel and inspiration. The hand saw is a fine example that illustrates these differences very well. It looks different, cuts differently and is still made by hand by artisan craftsmen. 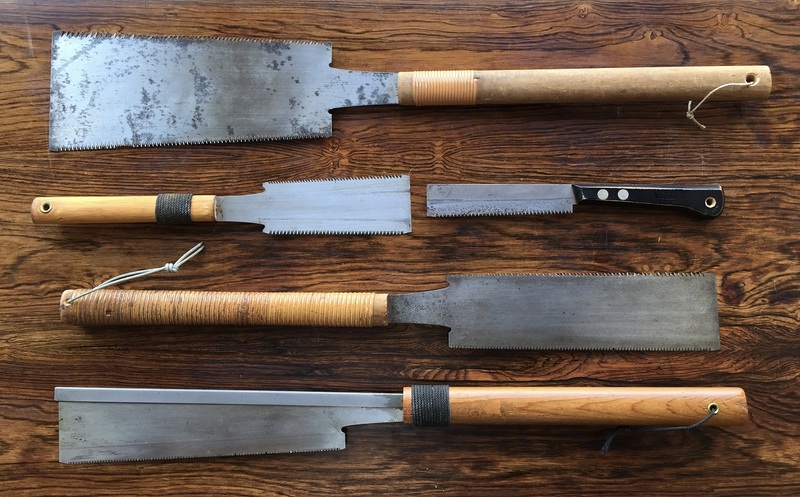 The most common is the Ryoba and double edged hand saw with both crosscut and rip teeth and it cuts on the pull stroke (as all Japanese saws do). In crosscut it cuts amazingly fast and leaves a very smooth finish to the cut face. The tooth design cuts like mini chisels and because it will not bend when cutting on the pull, it is forged much harder and finer so less kerf to cut so easier, faster and cleaner. Superficially the most similar saw to Western saws is the backed crosscut Dozuki but the variety is wide and specialised all made for the rigours of Japanese joinery. I have been using Japanese saws for over thirty years from my first trip to Japan, simply because they cut so beautifully. I have always found them a joy to use and are truly beautiful objects, so fit for purpose, so well made.